Deck Stylists is a fully insured limited liability company based in Park City and Salt Lake City Utah. We are independently owned and operated, meaning you will get an honest, friendly, dependable product. Our goal is to serve you! We have now been in operation for 13 years working in both Utah and Colorado including Park City, Salt Lake, Aspen, Vail and Boulder. We are well educated in the industry and use the highest quality products and procedures for your specific needs. There are three types of businesses that you will find that offer similar services as ours. When getting other bids for the job, find out what type of business you are working with. Use our points of difference to determine if you are getting all the things you want in your bid. There are some passionate individuals in all segments, and we approach all of our direct competitor's with respect. Check out this blog post reviewing various youtube videos on "restoration." A lot of the commentary there describes how we differentiate between most deck companies. Painting contractors This is a business that does all types of painting such as outsides of houses, interiors, etc. These are the ways that we differ from most painting companies. We believe in full sanding as a way to truly prep wood for stain. Most painters will either orbital sand, or just scrape and wire brush away peeling topcoats. Some will also power wash but few will sand with the thoroughness that we do. We provide more repairs, setting of fasteners, and fixing broken boards, as well as full service construction. Stain is our specialty which gives us the experience needed to get the color to come out exactly right. We also only use penetrating oils so there is never any peeling or bubbling of paint latex stains. A deck restoration business. This is an outfit that specializes in restoring and maintaining decks. We strive for service. We always try to accommodate our clients particular needs and try to add as much value as we can to each transaction. We always try to give options depending entirely on our customers needs. .
We offer a greater range of services. We have railing suppliers for maintenance free railings, provide affordable underside staining, build staircases and additions, and can replace your top sheet with redwood, cedar, composite, or hardwood. 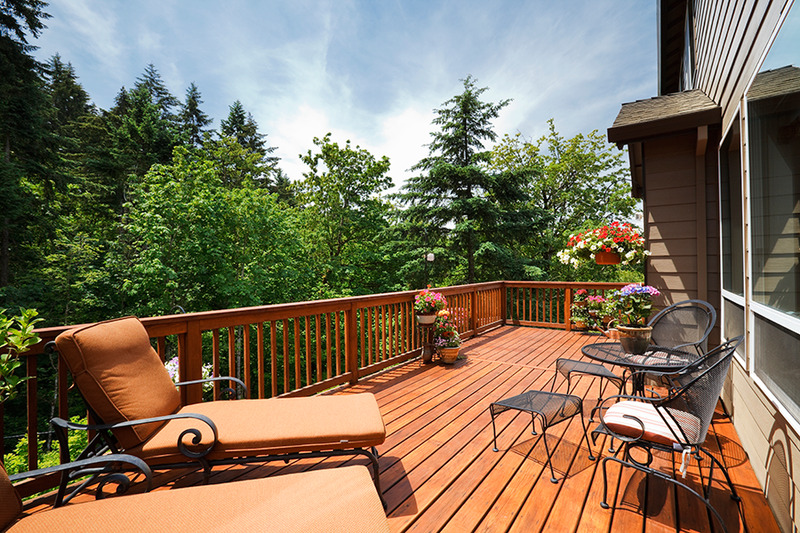 We focus on the overall picture of the deck where other companies focus more on top sheet sanding and staining. We offer cheap, easy maintenance after restoration. This puts you in control of your decks future health at very little time/cost. Our maintenance prices typically run up to 25% less than our competitors in SLC and PC. We are focused less on composite decking. Using our restoration and maintenance knowledge, we determine the best material depending on application. There are times where tear out and replace with composite is a great option but we can often restore your existing wood and save you money. We are also experts in tropical hardwood decking which requires special tools and knowledge in order to successfully execute. Our finishing is as good as our structural work. Many deck building companies are focused more on the structural aspect of building and less on the correct stain preparation and application. We have a fleet of sanders in order to remove surface dirt and staining, level, smooth, and open the grain of the new lumber. We then chemically treat and stain using the highest quality finshes on the market. These finishes require advanced preparation but are also super easy to maintain. All of our installations are based on the entire life span of the deck and not just initial installation. We are more restoration oriented. If you are dealing with an existing deck, we will usually be able to restore at least part of the existing structure which will save you money. We have been on countless consultation where other contractors told them the deck had to be removed. Often we can restore the top sheet and save you money to put toward railing or underside. In all cases, we will compete on cost and due to efficiency and low overhead, we can usually beat anyone's price for similar services and more. Finally we would like to offer a word of caution. Always make sure you are dealing with a licensed, experienced contractor. Having been in the business for 13 years we have seen many businesses come and go. This results in a lot of shoddy work in terms of stain types, preparation techniques, and sub par building practices. We have been called in on many of these jobs to repair the damage that has been done. 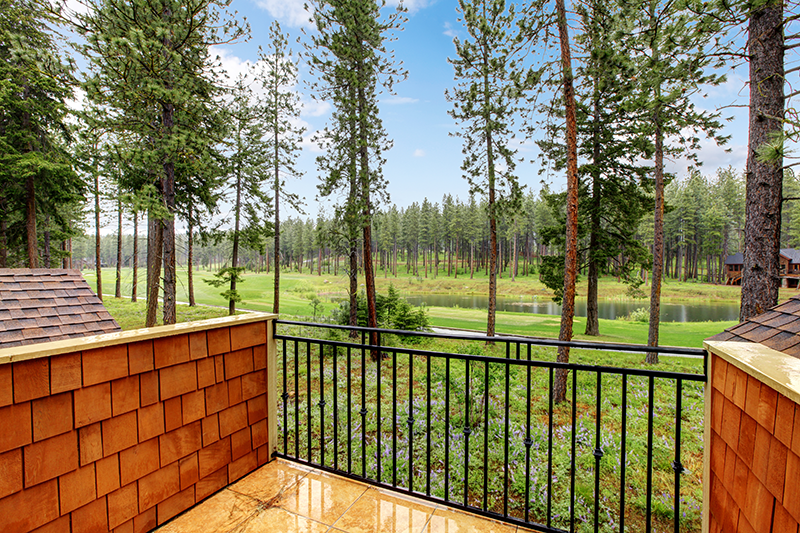 Decks do require specialized knowledge in order to have a successful long term structure. Not only do we get the job done well initially, we will be here for years to come to help you protect your investment. Finally, while our initial service may be more costly than the one man show, flash in the pan, fly by night "companies" that crop up every season, our maintenance will be lower in cost and result in a much higher grade finish. How do we arrive at our price per square foot for restoration? Surface area that is sand-able using our large sanding machine compared to tight areas that must be sanded using smaller sanders.